Ship of Fools: Membership Covenants, helpful, harmless or a bad thing? Source: (consider it) Thread: Membership Covenants, helpful, harmless or a bad thing? The church I am part of is considering introducing a covenant which members of the church would be expected to sign up to. I not heard of church membership covenants until recently, the idea seems to be to formally commit in principle (although not in specifics) to giving time and money to the church, praying regularly, pursuing personal holiness, being loving to other members and wider community and being a witness. I don't have a problem with any of these individual things as being good in themselves but do feel very uneasy about being asked to covenant to do these things, principally because I see no biblical mandate for it at all, and I think it introduces a danger of legalism (no matter how fluffy the wording of the covenant). What do others think? Has anyone here signed up to such a thing. 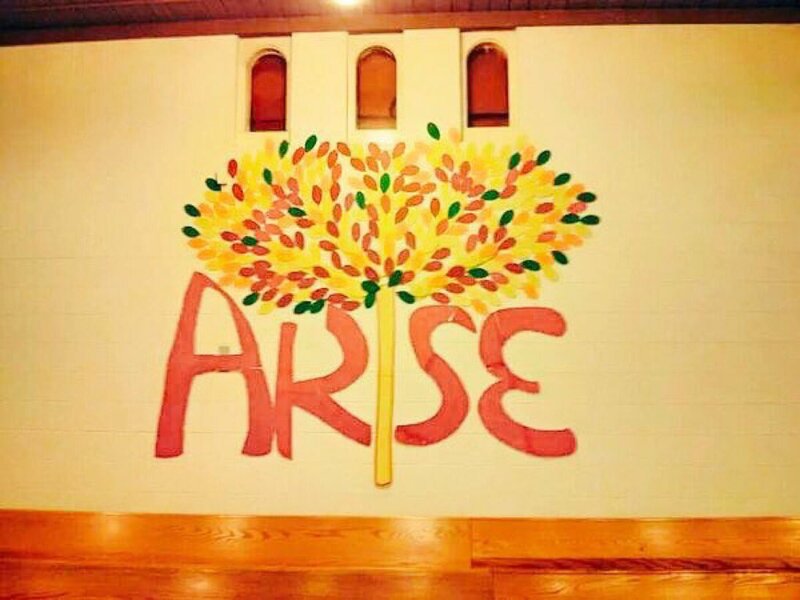 May I ask what sort of church yours is? Something like this - with more or less rigour - has marked out much of British Nonconformist life (Baptist, Congregational, Methodist) for centuries - for instance statements such as this and this are common. This reflects their understanding of church as being a "covenanted community of believers". "New Churches" though will often have a much more rigorous set of obligations. One of the most enduring observations in Andrew Walker's benchmark work on new churches, Restoring the Kingdom, highlights the unhealthiness of churches without a fringe membership. I thought that was insightful at the time and during my time in the new church movement, never went all out for this kind of commitment. We have a Soldier's Covenant which is publicly signed when a soldier is sworn-in in a service. But we also have adherent membership where people who might have the most developed faith to people with the most rudimentary faith, can belong and take an active part in Salvation Army worship and ministry without subscribing to all the doctrines or even the moral lifestyle requirements of soldiership. I know of an adherent member of TSA who is a former minister in the reformed Church and now calls himself a Salvationist even though he remains a Calvinist and rejects the Army's Arminian/Wesleyan view of grace. Therefore it shows that a church can have the strictest covenants and a fringe membership. In reality many adherents are right at the heart of all we do and are and we couldn't function as a church without them. Je suis Marxiste, tendence Groucho: Je ne me soucie pas appartenir à un club qui veut de moi en tant que member. When I became a member of the Church of Scotland I undertook to devote a fitting proportion of my time, talents and money to the church. I don't think I signed anything, but I do have a certificate somewhere stating this. I will have to dig out my membership certificate and check. I've read that Pentecostal and Baptist churches in the UK often have a high rate of attenders not in membership, whereas historical churches such as the Methodists often have very few non-members in attendance, and indeed, may have a membership larger than the number of people who regularly turn up for worship. Church covenants are common in Baptist churches in the U.S. This one, which dates back to the 1800s, seems to be frequently used, or to form the basis of an particular church's Covenant. We engage, therefore, by the aid of the Holy Spirit to walk together in Christian love; to strive for the advancement of this church, in knowledge, holiness, ordinances, discipline, and doctrines; to contribute cheerfully and regularly to the support of the ministry, the expenses of the church, the relief of the poor, and the spread of the gospel through all nations. We also engage to maintain family and secret devotions; to bring up our children in the nurture and admonition of the Lord; to seek the salvation of our kindred and acquaintances; to walk circumspectly in the world; to be just in our dealings; faithful in our engagements, and exemplary in our deportment; to avoid all tattling, backbiting, and excessive anger; to abstain from the sale of, and use of, intoxicating drinks as a beverage; to be zealous in our efforts to advance the kingdom of our Savior. We moreover engage that when we remove from this place we will, as soon as possible, unite with some other church were we can carry out the spirit of this covenant and the principles of God's Word. Typically, all members of the church are expected to sign the Covenant. Green Mario, does your covenant say anything about submitting to the local leadership? SvitlanaV2, in New Churches in my experience there is a not-so-implicit push to become a member if you are a Christian. On the other hand, for a short while I was part of a baptist-type church in darkest France in which people could cease to be members but otherwise continue to attend the church in much the same capacity as before. Membership of the small church was embodied by a kind of building-block edifice of house bricks with people's names on. Since the church was small and people kept being thrown out, rather than remove the offending brick the name was turned round so it didn't show. It was a bit surreal, and I think I lasted about three months. It's a baptist church. No mention of submission to elders or leaders. I think it's aim is to tackle a perceived lack of engagement from "church members in terms of attending church events and giving of money and time. I think the idea of covenanting bothers me rather than the idea of membership having expectations - suggests something permanent that limits future choices, (like marriage) with serious spiritual implications if you don't do what you covenant to do. A covenant won't acheive that - introducing on with that aim will probably have the reverse effect. There's two sides to this - first the danger of legalism (rules for holy living) and secondly the matter of license (I can do what I like). There's soem kind of middle ground that discusses expectations based on whatever scriptural principles you might choose and whch allows for individual freedom with "corporate" responsibility (ie my own way of expressing and exploring my faith isn't helpful if it adversly affects the journey of others). Lots of churches dont have written covenants but every church that shares communion practices or expresses covenant. I think it depends on the heavy-handedness of those seeking to oversea allegiance of the congregation. I once attended a Methodist covenant service and thought it was quite helpful and thoughtful. I have also experienced a situation where such a commitment led to micro-involvement in the spiritual lives of others. Indeed. Introducing one in this way is a recipe for spiritual abuse in my view, and indeed likely to have the opposite effect to that intended. True, and just look at membership vs. attendance figures in (for instance) the Church of Scotland. But even in Baptist etc. churches there are members whose attendance and commitment seems to be weaker than other folk who aren't official members. From a legal point of view, only members may be appointed to certain roles (eg Trustees/Deacons/Elders), and some churches may require in their internal rules that certain tasks be performed by members. I remember discussing it with one of the leaders towards the end of my time there and enlikening it to an incident that happened to me as a small boy. So we sat there for what seemed like an inordinate amount of time ... but which was probably only a matter of minutes (time runs slowly when you're a kid) ... wondering what to do. I have no problem with the kind of membership 'covenants' or agreements that mainstream non-conformist churches - such as Baptists - and Methodists enter into ... but these things can be ratcheted up to a form of mind-control - as with the putative 'force-field'. All manner of ills and misfortunes were threatened or even prophesied against those who had the gall to 'break covenant' ... it was seen as a heavy-duty thing - and I'm sure it kept many people tied into such fellowships who could have - and should have - moved on to less strait-jacketed churches long before. In fairness, the 'covenant' thing softened and modified over time - it lost it's initial tightness and severity ... but even so, a lot of damage was done. Perhaps so; but remember that "covenant" in a Baptist - or, more strictly - congregationalist - scenario is not (or should not be) about "submitting" to leaders. It is much more to do with mutual accountability within the church community; indeed, leaders are accountable to the members. I wonder if some of the misgivings being expressed here are due to (a) concern at stories of the heavy-handed situations mentioned by Gamaliel and/or (b) a feeling that "my faith and lifestyle are personal and other people in the church have no right to make any judgements or criticisms of me"? Many Neo-Calvinist churches in the U.S. are requiring membership Covenants that require submission to leadership and "church discipline" where what can be disciplined is not defined. Some examples I've read about included questioning the pastor on theology., asking about the budget or ignoring a pastor's advice. These are legally binding documents and I for one would run from any church that required one. What can be disciplined is not defined. Some examples I've read about included questioning the pastor on theology., asking about the budget or ignoring a pastor's advice. These are legally binding documents. Now that I most certainly do not like! And there you see my point! The key word in my previous post was "introduced". It's one thing having a historic practice, it's another to bring one in as an attempt to combat declining commitment. The irony with much of this, of course, is that such Neo-Calvinists (and the earlier UK restorationists) would be the first to criticise the 'priest-craft' and apparent authoritarianism of some of the historic Churches - yet they have themselves constructed systems which are far more restrictive in practice. As in all these things, there's a balance and the kind of membership agreements ('covenant' is perhaps a loaded term?) or 'contracts' that UK Baptists and Methodists espouse cause me no concern at all - there are checks and balances in all these groups. The kind of 'covenants' that some of the newer outfits espouse - whether neo-Calvinist or charismatic - on the other hand cause me a great deal of concern - for a whole raft of reasons. They are a recipe for disaster. I don't know this guy. But he seems to have some pertinent comments on Membership Covenants, "Shepherding", Celebrity Pastors and Being Open to New Ideas. Eagle also comments on a site called WartburgWatch, which has several articles on covenant memberships. Very enlightening. Introducing a 'covenant' to combat apparent declining commitment strikes me as counter-productive. There may be all sorts of reasons for the apparent decline ... changing work patterns, changing social patterns, an over-realised expectation on the part of the leadership (who may not be aware of people's family or work commitments) - and much else besides. As soon as the leaders up the ante on this one they are introducing something potentially divisive ... for one thing, a gulf between those who happily sign up for the 'covenant' and those who don't or who have qualms about doing so. It could be the thin end of a very large wedge. Without wishing to scare-monger, I can remember hearing about a reasonably well-known second-generation UK 'new church' leader holding a leadership conference where he 'modelled' or put forward a way of dealing with congregational dissent by having stooges or 'plants' - effectively spies - planted in every house-group who would report back to the leadership on anyone who spoke out of turn or said anything potentially 'off message'. This leader - no names, no pack-drill - gave an instance of this from his own experience and it was greeted with laughter, cheers and applause by some of the other leaders present. My informant, a church leader himself, was absolutely stunned. He wrote to the chap advocating such an approach outlining why he felt it was completely and utterly reprehensible and telling him that he would never attend any of his leadership conferences or events ever again. Do you think that leaders introduce such Covenants because they feel that modern-day Christians tend to treat faith (and Church) as an optional and discretionary "leisure activity" and need to be shocked into realising that it means much more than that? Or is it all to do with maintaining positions of power and authority? Some church leaders believe they need to exert "authority" over their congregation to be doing their job. Some believe it will stimulate commitment. I was a part of a para church organization that utilized covenants to do both. Abuse became rampant. Some churches use them to delineate dedicated members from observing pew sitters. While I think this type of church is a safe haven for conscious abusers, I think many more leaders are deceived and/or self-deceived into exercising power. If you're convinced that being part of a vibrant church community (and assume, logically enough, that your particular flavour is the best one) is essential to a healthy Christian faith (which on the face of it doesn't sound so evil) then it's a short step to trying to coerce people to stay even for the noblest of reasons. This applies to Gamaliel's example above. Some quarters of the church movement I used to be part of were hot on "discipleship" relations. Individuals, especially leaders, were encouraged to open up to leaders (and actively discouraged from sharing the content of the conversation with their spouse). The result was that the senior leadership held all sorts of dirt on those lower down which could be used against them if they fell out of favour. As I often point out, it mirrors the plot of The Firm pretty exactly. But the practice could be instilled using (misplaced) higher motives as leverage. In NA Baptist circles a lot of the push for covenants originates with people like Mark Dever. In my opinion, even if the initial impulses sound laudable, the end result is anything but and can lead to very controlling situations. This little article has just appeared on the BUGB website. It seems to express a rather different concept of Covenant. This is their way of life (I think clicking on links will give greater detail, but I haven't looked at that). The word in there that makes me twitch is "accountability". In my experience that usually means that some people are more accountable to some others than the latter are to the former; it's never really mutual. I'm also sceptical about newly-founded communities. One of the well-thumbed books on my shelves is Love is our Home, the story of the Post Green Community that emerged in the early days of the charismatic renewal in the UK (the full text is actually available online here). The book concludes with the founding covenant of the community - which has long since dissolved, at least in the initially envisaged form. The result was that the senior leadership held all sorts of dirt on those lower down which could be used against them if they fell out of favour. As I often point out, it mirrors the plot of The Firm pretty exactly. But the practice could be instilled using (misplaced) higher motives as leverage. Yikes But what about peer-to-peer accountability / discipleship, where (at least in theory) there's no mismatch of power or knowledge of 'dirt'? Have you (or anyone else) had experience of this kind of arrangement? I ask because, while sharing folks' revulsion at the abusive practices described above, I think accountability to one another is an important aspect of Christian community and should be encouraged by church leaders. I'd be interested to read shipmates' opinions about The Salvation Army's soldiers' covenant, as linked to above. It may interest you to know that this was rewritten in the 1990s (the doctrines of course remaining intact) and a particular phrase removed: "I shall obey the lawful commands of my officers (ministers)"
Also, it used to be entitled the 'Articles of War' in order to reflect the military metaphor that we use. I guess much of the discipline exerted upon our members was a reflection of the chaotic lifestyles many of them previously 'enjoyed' prior to conversion, and also the militarised culture of the mid 19th and early 20th centuries. Please Baptists have a greater heritage than Methodist so what do you mean by historical churches? Covenants are, as Baptist Trainfan says, almost standard practice in Orthodox Dissent* in England. These churches usually had a very broad fringe who were not in membership and did not take communion. The doctorate by Darrell Jackson "The Discourse of 'Belonging' and Baptist Church Membership in Contemporary Britain: Historical, Theological and Demotic elements of a Post-Foundational Theological Proposal" (Th.D)-- University of Birmingham, 2009 looks into this in depth. No, I have not read it but I have sat through a seminar on it. It was incidental to my own research bordered on this as did that of another shipmate. This links very strongly with Covenant Theology. *phrase coined by Bernard Lord Manning and yes he was not including Methodists. I think accountability to one another is an important aspect of Christian community and should be encouraged by church leaders. First off, I challenge you to find the word "accountability" in the Bible. Then try and find a translation of it into, say, French, and ask yourself whether it's not more of a management concept than a biblical one. Secondly, what I take exception to in the above quote is the "encouraged by church leaders" bit. Realistically, I can't parse that any way other than the church leader saying "you need to be accountable to them" (or quite possibly "me"). They will not need to teach their neighbor anymore. And they will not need to teach one another anymore. They will not need to say, ‘Know the Lord.’ That’s because everyone will know me. Inasmuch as I recognise the need for what you're calling accountability, I think it should be an individual's decision to confide in another, not a requirement imposed on them. When it's structured that way round, the onus is on the confidee to earn the trust to be confided in, not expect it - which to my mind is a lot healthier. One key reason for this is that we all have different levels of disclosure, and manipulative people can elicit a lot more disclosure than they provide. I recall a leaders' gathering at which the top guy made a show, during a prayer, of "confessing" to some unseemly conduct. In actual fact, when I thought about it, he had "confessed" to being tempted, but not to actually doing anything, and no details were forthcoming. But his apparent display of "accountability" brought forth all sorts of admiration of his "openness" and urges to do likewise, and lots of little confessing huddles in the room - without him having disclosed anything at all. Something like this was introduced with great fan fare and planning at a local Methodist church a few years ago. It lost the church quite a few members, particularly as time revealed that the most important words were "giving" and "money," and all else was just camouflage so it wouldn't look like the pastor was asking people to sign their pledges under group pressure. I think these covenants might work better in small prayer groups with the money part completely left out. For me, I accept promptings and criticisms best if given from the pulpit to the congregation in general. If any specific fellow Christian started telling me I was falling short in some area, I'm sure my mind would quickly go to, "But you your own self have this splinter in you eye." Perhaps it's not for us immature, defensive types. Not chosen as proof texts, but quoted to ask whether these suggest those very things - accountability, submission, covenant, discipline, etc. If not, what do they suggest? ...Inasmuch as I recognise the need for what you're calling accountability, I think it should be an individual's decision to confide in another, not a requirement imposed on them. I genuinely meant 'encouraged' rather than 'required', but I realise the distinction can be blurred. However, just as regular and frequent Bible reading (to take one spiritual practice / discipline as an example) can be encouraged in a church without actually being compulsory, I'd have thought the same can be true of mutual accountability pairs / triplets / groups (however you decide to go about it). But plenty of churches manage fine without this stuff. So why is it necessary? I'm not saying it's *bad* but I don't see why it's necessary. It seems to jar somewhat with the Protestant notion of one's spiritual life being between oneself and God, and not anyone else's business. That's the whole point behind saying confession to a priest is wrong/unnecessary, no? So why is confessing to a priest wrong but not confessing to an elder or another lay person? Being mighty sceptical, may I ask if there is any monetary aspect. If not in the covenant, do you get hit up for cash? On American baptists, who seem over represented as TV program hosts, I hadn't realized the covenant aspect. It makes their stark in and out group mentality, and damnation emphasis more understandable. Eutychus, in secular discourse "accountabilty" is almost always used to mean the calling to account of those in positions of authority, and I suspect this is also the sense use in such covenants. I think those who have been subject to clergy/leadership abuse would be only too happy to have some sort of accountability process in place. It's not the confessing to a priest that is wrong, it's the idea of absolution that is treated with scepticism, and the idea that in order to repent one must confess to an intermediary. The problem is "accountability" flows one way with these covenants. It's a top down deal. There should be no need for a legal document to join a church. I can't believe this concept is accepted - it didn't start out this way. Our Christianity is worthless if we need a legal document to live it out. That still doesn't explain why all of this is necessary. Church members should feel like they can talk to other church members/leaders without coercion or having to sign a declaration, and should want to give money out of their own free will. If church members need a covenant to make them do those things, perhaps the church isn't much good anyway. I have no problem with signing a declaration of beliefs, but I do object to having to sign a loyalty clause. How is loyalty defined? What are steps taken if one is perceived as disloyal? In my experience, at least, the covenants traditionally used by American Baptist congregations do not have the same kind of coercive effect that many are describing here. I've never heard of anyone being disciplined for "violating" such a covenant, though I guess it may have happened. From what I have seen, it is most often the case that the covenant was adopted by charter members when the congregation was formed, or was adopted so long ago that no one remembers the congregation without it. It is discussed mainly when new members join, because new members will be asked to sign it. It doesn't really establish who is in and who is out. Rather, it functions essentially as the congregation's charter. To the extent it is used otherwise, it is mainly as a statement of what the congregation as a whole aspires to, not what individuals are bound by. As for the "in and out group mentality" and emphasis on damnation of American Baptists, both may be over-represented in the same way as the TV program hosts you mention are. Having lived my entire life surrounded by lots of Baptists—mostly of the Southern Baptist variety—I've encountered those attitudes in real life with much less frequency than I've encountered them on TV. Echoes my view of liturgy exactly! More seriously, it's the formality of a signed agreement that makes me uncomfortable. I don't see anything wrong with a church encouraging holiness, encouraging giving, etc. But to make someone sign a formal commitment strikes me as a bit controlling and rather legalistic to boot. My church (which I know Eutychus has some familiarity with) grew from the British New Church Movement and does make such encouragements, but there's nothing so formal. There's enough scope for differing views that one isn't even asked to sign any creed or other statement of belief in order to be a member; you're a member if you consider yourself to be one. If a church is particularly hierarchical, the danger is that you have someone at the top who is accountable to no one or you have an eldership/episcopate who are only mutually accountable to one another, even if they nominally state that they are accountable to Christ. There's potential for good in a signed commitment, but it's not for everyone and I'd probably walk out if it became either compulsory or expected. The other question to ask is, "what is the church currently lacking that would be improved by this covenant?" If there's no answer to that question, then it almost certainly is necessary. If there is an answer, then a reasonable follow up might be "what other things could the church do that would have the same/similar outcome that might be less offputting and doesn't bring the risk of spiritual abuse?" A half-decent reference for this is Rob McAlpine's Post-Charismatic, which goes into some detail on spiritual abuses in the pentecostal and charismatic movements, though as he's from the Vineyard church, they get rather whitewashed in the analysis. Legal? As in required and upheld by law? Have I missed something? Who is suggesting such a thing? IMO accountability pairs / groups might be a good way of encouraging and enabling people in a church to talk with one another. If people are already confessing their sins with each other and encouraging one another to greater good deeds, then there might be no need for the promotion of accountability groups. I'm not at all sure about Membership Covenants so I'll keep out of that one for now! I read those and see a group that studies together, fellowships together, prays together, and encourages one another's efforts with praise. I see nothing there that allows criticism of others, submission, discipline or accountability. Only excepting the order to women, which doesn't seem to be a person to person thing, but just one of Paul's directives to all churches in general like his 'women cover your heads' thing. It's one thing to listen to the Pope and another to have the church lady next to you tell you that you should come to more evening events or volunteer for more nursery duty or make your 47 year old son join the baseball team. This sort of covenant encourages nosiness and criticism from the all the wrong people.